Today’s customers are on every platform and expect brands to act — and react — accordingly. 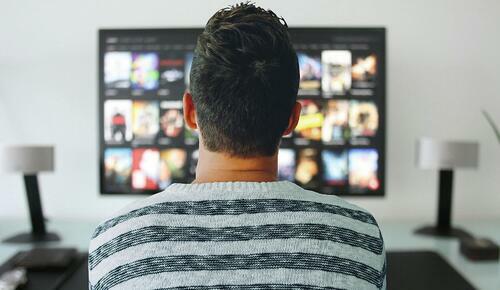 Think about it: When you turn on Netflix, your shows are ready to go in the queue. You answer Slack messages on all of your devices without having to remember where you left off. Plus, you get frustrated when brand experiences aren’t seamless. Remember the last time it was difficult to return an online purchase to a store? It all hinges on a unified brand experience. What is a unified brand experience? A unified brand experience is when a brand creates seamless consistency across channels, including design, voice and, importantly, communication. Inconsistencies interrupt the buyer’s journey and cause frustrations. More than half of customers say that a strong user experience affects their purchase decisions. A unified brand experience fosters and keeps happy customers. How do you create a unified brand experience? Identity Matching. Identity Matching is the process of tracking and pairing user behavior and individual identifiers across channels. It means creating a connected web of consumer data, which can be used to understand customer intent and to deliver a seamless brand experience. Here are five steps to creating a unified brand experience with Identity Matching. Choose a central customer identifier — such as an email — to reconcile siloed customer identifiers such as cookies, emails, mobile IDs, loyalty cards and postal addresses. If you don’t ask for data, you can’t use it. Consider how your existing touches can be used to acquire new data, such as feedback surveys, in-store email signups and loyalty cards. Link your central identifier with additional customer insights. Fill in your customer knowledge gaps by appending postal addresses, mobile IDs, demographics and — the Holy Grail of Identity Matching — emails. Keep your customer data clean, organized and connected in your CRM or marketing automation software. Ensure the customer experience is consistent across platforms by keeping your customer data up to date and breaking down silos between online and in-store activities. Consider how you can share and link this information internally. Use data to fuel predictions and create insights. Make the customer journey simple and delightful by providing personalized offers and streamlining self-service. Identity Matching unlocks multichannel marketing, making way for a consistent, unified and delightful brand experience. Know your customers better. Get started with a free test on our InstantData platform.